Is the truth still out there? 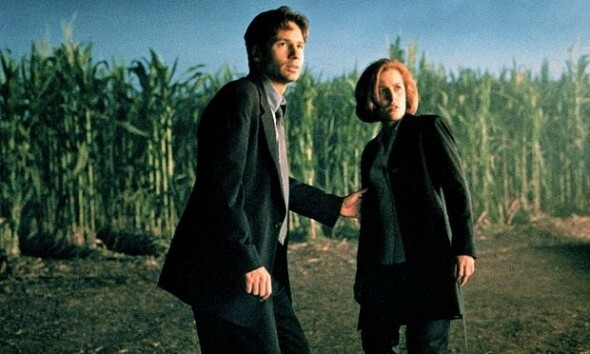 At today’s FOX portion of the TCA Winter press tour, FOX chairman and CEOs Dana Walden and Gary Newman confirmed that they’ve been having talks with Chris Carter, the creator of The X-Files, about reviving the series. The show helped establish the network in its original run from 1993 until 2002. Also, The X-Files was produced by 20th Century Fox which Walden and Newman ran before moving to the network. If the project goes forward, they hope to have original stars David Duchovny and Gillian Anderson reprise their original roles. Be great, only if they do it to honor the original w/o making it into a joke like they tend to do with remakes. Either do it correctly like the original or not at all. Any other way is only an insult! Early on it was good, but towards the latter seasons it struggled. There’s only so much weirdness a show can do before it goes downhill, which is what happened to the X-files. And most of the UFO have now been declassified and publically available. OH !! Yeah!! I love X-Files, it will be great to have a new X-Files even if without Scully and Mulder. Lets give new talents a chance. For now I will keep watching them in Netflix and cable. Bring it back, I watched every show, do a full season. why? the last few seasons stunk.